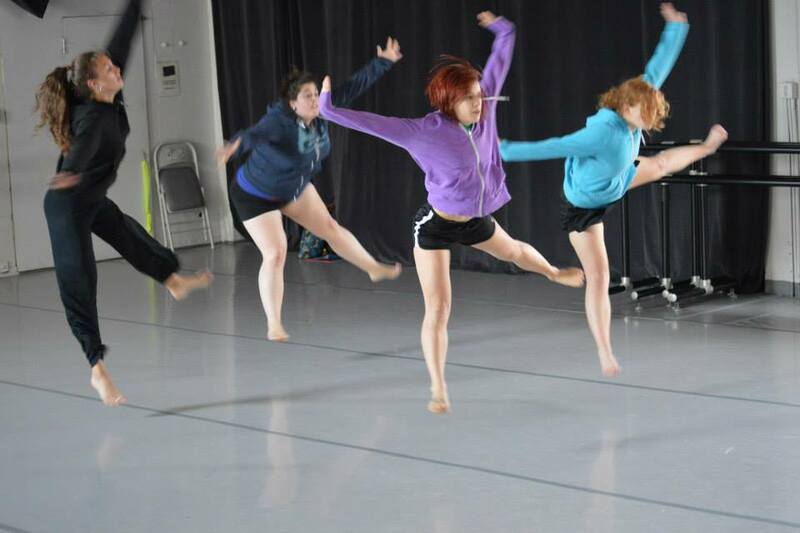 Relay Dance Collective aims to do things a bit differently. With a focus on dancing for the simple joy of it, giving back to the community, and collaborating with a variety of entities, Relay unabashedly displays their love of dance and their gratitude for what the art form has brought to their own lives. As a new force on the Seattle dance scene, the troupe will present Music + Motion, its premiere show, at Dance Fremont this Saturday and Sunday (August 24-25). 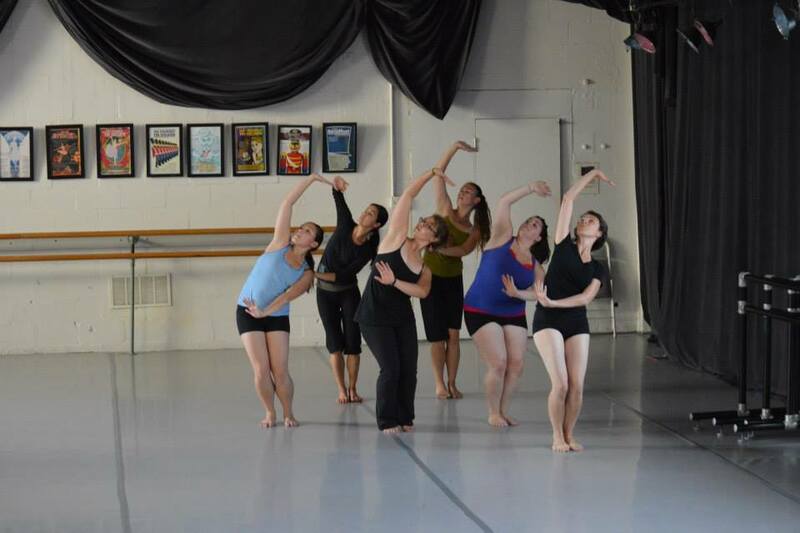 SeattleDances interviewed Gabrielle Nomura, one of RDC’s founders, to find out a little more about the group and their upcoming show. SeattleDances: Tell us about how Relay Dance Collective got started. Gabrielle Nomura: RDC was created by myself, Jasmine Morgan, Austin Sexton and Tess Wendel—women I grew up dancing with. RDC was one-part reunion of old friends, and one-part wanting to bring something new to Seattle dance. During our teens, the four of us were part of Dance Fremont’s performing youth troupe. Despite our age, we were given opportunities that most professional adults could only dream of, including getting to study and perform works by Jose Limón with Artistic Director Carla Maxwell and Brenna Monroe-Cook. Our co-directors, Vivian Little and Mary Reardon, spoiled us with amazing experiences and choreography. The emphasis was always on classical ballet and old-school modern dance. Afterward, we went away to college or had experiences, both good and bad, that shaped who we are today. The last time I performed with Jasmine, Austin and Tess, we were timid girls; followers, not leaders; bunheads who hadn’t really found our artistic voices. Now, we are women relaying a new vision of dance. Collectively, we’re adding soul, wisdom and experience to the solid dance training that we share. SD: What makes this a unique group in the Seattle community? GN: In some ways, I feel like we are a departure from what’s hip in the contemporary dance scene. Nowadays, I feel like it’s almost offensive to say that one “dances for joy,” as if it’s not legitimate dance if the end result is an audience that’s happy, excited, moved, or entertained. While we’re serious dancers, we don’t take ourselves too seriously. We want to make art, but (dare I say) we also want to make pieces that just make people feel good. We hope to use our resources to create new and interesting pieces, and expand the dance community. This is also why we’ve pursued a collaboration with Northwest hip-hop group, The Bad Tenants. Artistically, we’re classical-modern people. We have no desire to “worship the gods” like Martha Graham, but this is a big part of who we are and what our idea of contemporary movement is. Additionally, part of relaying our vision means exploring other styles we’re interested in: concert jazz, hip-hop and ballet. If that means we’re old-fashioned, we’re OK with that. We think Seattle can only benefit with more, not less, options. We have tremendous respect for the groups who are producing experimental, cutting-edge movement. We too, are trying to be innovative, but in other ways. To give you an example of our uniqueness, I’d point out that three of our choreographers represent Spectrum Dance Theater’s jazz roots: Spectrum co-founder Jenny Hillock, Paula J. Peters and Xaviera Vandermay. Jenny and Xav have both commented that, with our emphasis on expression, community, positivity and diversity, we represent the ideals that Spectrum was founded on. SD: There are many different groups involved in the show. How did your collaboration with The Bad Tenants and your other collaborators like 3rd Shift Dance come about? GN: Community is very important to us, and this show is a reflection of that. It’s also a reflection of how tight-knit the arts scene is in Seattle. All our collaborators in this show were a connection we made by growing up as dancers in the Pacific Northwest. I have known The Bad Tenants since my days at Western Washington University, where I studied dance and journalism. Two friends I made working on the student newspaper, Casey Gainor and Kaleb Gubernick, were involved in the Bellingham hip-hop scene. Today, Casey is an emcee for The Bad Tenants, and Kaleb is a local producer, rapper and graphic designer (he did our logo for us, in fact!). Lately, I have been seeing more and more collaboration. This past spring, I performed with The Heavenly Spies cabaret troupe. Several of the Spies have appeared in music videos for electro-soul duo, Fly Moon Royalty—a group that The Bad Tenants has played shows with—and that 3rd Shift Dance just performed with at the Capitol Hill Block Party! It just goes to show how vibrant, intertwined and interdisciplinary it really is here in the 206. SD: Relay seems to be focusing both on the art of making dance and giving back to the community. How did these dual focuses come about? Why is this so vital to your collective? GN: Relay is committed to looking outside of ourselves. I don’t say this to boast about how kind-hearted we are; we see this as essential to our success. It’s about drawing people in to what we’re doing, as well as bringing dance to people. We accomplish this by 1. seeking out a wide variety of collaborators (The Bad Tenants), and in turn, audience members 2. performing for people who may not usually have access to dance (we performed at Pinehurst K-8, Bellingham High School, and Seattle Keiro nursing home this past spring) and 3. literally, breaking down barriers so that anyone who wants to can dance. Growing up, I didn’t have the financial resources you’d need to become a dancer. It really did “take a village” to raise me, from my elementary-school teacher who would put a bun in my hair after school, to my dance teachers who allowed me to clean up the dance studio and assistant-teach classes to pay my tuition. RDC wants to be a small part of that village, because this art form has given so much to us. At the end of day, dance shouldn’t be associated with a certain race, socioeconomic status, or even aesthetic/artistic preference. Whether you’re enamored with Ohad Naharin or So You Think You Can Dance, we do not judge you; we think the world of dance should welcome you with open arms.